It’s official! Purple Shell is opening this summer in South Boston! We heard murmurings last month that the owner of ZC Boston – an Asian restaurant – was hoping to relocate to 11 West Broadway – the former Stephi’s in Southie spot. Well, according to Marc Hurwitz from Boston Restaurants.com, Jerry Chen will in fact open up a new Asian fusion tapas restaurant called Purple Shell. 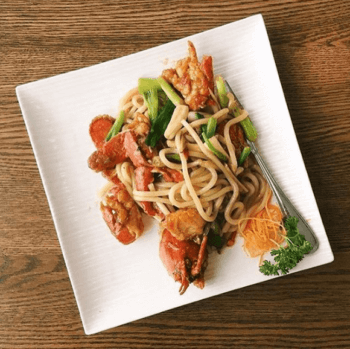 Chen’s other restaurant features an Asian inspired menu with sushi, maki, lo mein noodles, dumplings, tempura and more! They also have a fun cocktail menu loaded with tiki drinks, large format cocktails, beer, and wine!